robyn is back (with) honey! A 20.08.07 Robyn teve direito ao seu primeiro post neste blog, quando conquistou o primeiro lugar da tabela de singles do Reino Unido com With Every Heartbeat e agora, dez anos depois, é com toda aquela alegria que descobrimos que um novo álbum se avizinha para 2017. Robyn começou nos finais da década de 90 com melodias bem pop e após tomar rédeas da sua carreira e tornar-se independente, devido a diferenças com a sua editora, a sua criatividade mostrou-se sem limites. Para alegria geral, essas aventuras percorrem versões não só acústicas, mas também electrónicas e bem dançáveis juntamente colaborações com Röyksopp, Snoop Dog e Kleerup. It wasn’t ready to be released, but I finished this version for her and Girls publicou Robyn sobre a escolha da produtora da série Girls Lena Dunham, pois esta última seleccionou este tema estando o mesmo ainda por terminar de forma a que surgisse no último episódio. O follow up da trilogia Body Talk de 2010 inspira complexidade e melancolia, estando já a demonstrar a capacidade introspectiva, e por vezes fatalista de Robyn, tal como nos temas With Every Heartbeat, Eclipse e Hang With Me. É com a frase You're not gonna get what you need, But baby I have what you want que termina este pequeno excerto, o que nos leva a questionar se no presente capítulo do nosso livro sabemos a diferença e/ou se estamos a repetir o mesmo erro do passado. 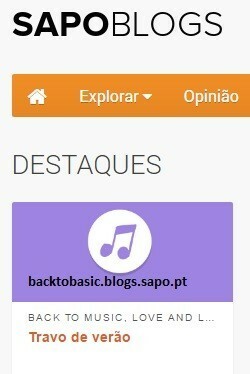 No que respeita à sonoridade desta faixa, os ritmos electrónicos perduram e embora se possam assemelhar ao anterior álbum, ainda é muito prematuro descortinar por que caminhos se foi construindo um dos álbums há muito esperados. Por isso, após ouvirem um pouco do que está para vir, podem sempre (re)descobrir Robyn por aqui! A 20.08.07 Robyn was entitled to her first post on this blog when she reached number one in the UK singles chart with With Every Heartbeat and now, ten years later, it is with all the joy that we discover that a new album is coming in 2017. Robyn began in the late 90s with true pop tunes and after taking over her career and becoming independent, due to differences with her own record company, her creativity proved to be without limits. For general joy, the adventures run not only through acoustic sounds but also electronic and dance versions along with collaborations with Röyksopp, Snoop Dog and Kleerup. It wasn’t ready to be released, but I finished this version for her and Girls published Robyn on the choice of the producer of the series Girls Lena Dunham, as she has selected this unfinished song in order for it to appear in the last episode of the series. The follow-up to the 2010 Body Talk trilogy inspires complexity and melancholy, already demonstrating an introspective and sometimes fatalistic side of Robyn, as in the songs With Each Heartbeat, Eclipse and Hang With Me.It's with the phrase You will not get what You need to, But baby, I have what you want that this little excerpt finished, which leads us to wonder if in this chapter of our book you know the difference and / or if we repeat the same mistake of the past. As far as the sound of this track is concerned, the electronic rhythms remain and although they resemble the previous album, it is still very premature to discover through which paths one of the long awaited albums has been build upon. So, after listing a bit what is about what to come, you can always (re)discover Robyn here! is this the sound of fashion? Sente o teu corpo // Sente a paixão // Fashion! Malas, calças, vestidos, casacos, máquinas fotográficas ... uma panóplia de objectos e cores que percorreram as redes sociais nestes últimos dias devido ao Portugal Fashion. Se pelas passereles viram aquela modelo bem gira com o último grito da moda, hoje temos aqui uma banda sonora para finalizar este fim de semana. Este tema, já considerado um clássico, poderia ser bem inserido num #throwbackthursday mas este evento não poderia passar despercebido. Se o Portugal Fashion chama a si todas as atenções do que melhor existe no mundo da moda em terras lusas, podemos também afirmar que em termos musicais nós também lançamos tendências, captamos atenções um pouco por todo esse mundo fora e, para além disso, tudo com grande qualidade e estilo. A prova está em The Sound Of Fashion, um dos três singles dos Delicado, o projecto de Luís Leite e Alex Santos, e que deu muito que falar pelas rádios e discotecas, com os vocais de Kátia B, Cristina Martins e Nicinha. Editado com um total de 5 remisturas, entre o original, em versão mais chillout,e as restantes mais club friendly, ficamos aqui com o Radio Edit da Versão Original para ainda poderes gastar a pouca energia que ainda deves ter neste domingo à tarde (sim, os sábados à noite são demasiado(?) longos)! 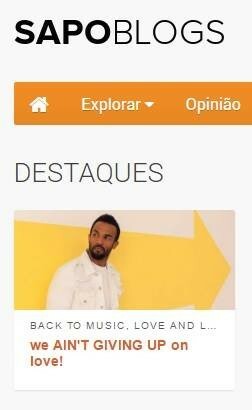 Por último, só resta questionar, para quando um Portugal Music Week(end)? Bags, trousers, dresses, coats, cameras …… a wide range of objects and colors that run the social networks over the last few days due to the Portugal Fashion shows. If on the catwalks you have seen that beautiful model wearing the latest fashion trends, we have here then the soundtrack to end this weekend. This track, already considered a classic, could have been featured on a #throwbackthursday post but this event could not pass unnoticed. If the Portugal Fashion show attracts all the attention on what is the best in the world of fashion in the country, we can also consider that in musical terms we also launch trends, we attract attentions throughout the world and, in addition, everything with great quality and style. The proof of that is in The Sound Of Fashion, one of the three singles from Delicado, the project of Luís Leite and Alex Santos, which was on heavy rotation on radios and discos, with the vocals of Kátia B, Cristina Martins and Nicinha. Edited with a total of 5 remixes, between the original, a more chillout version, and the others more club friendly, we have here the Radio Edit of the Original version so that you can spend the last bits of energy you might have on a Sunday afternoon (yes, Saturday nights are (too) long)! Finally, there is only one question, for when a Portugal Music Week(end)? Em 2017 voltamos ao nosso pequeno e aconchegante T2 perto do Tiergarten, em alemão 2Raumwohnung, para nos voltarmos a apaixonar. Esta banda alemã, uma presença habitual neste blog, composta por Inga Humpe e Tommi Eckart, volta este ano com o bilingue Somebody Lonely and Me e com um duplo álbum a ser editado em junho. O primeiro single é uma ode à introspecção, às questões do coração, àqueles pequenos momentos de solidão em que o Amor ainda não surgiu ou que, mesmo que ele já esteja mesmo à nossa frente, não o vemos. Seja porque não temos os olhos bem abertos ou porque, simplesmente, ainda estamos demasiado fechados nesta imensa escuridão. Where is the face I want to see forever? questiona Inga, uma vez que neste mundo escuro a alegria de um encontro com o nosso amor pode parecer (im)possível. Editado em duas versões Tag e Nacht (vídeo), dia e noite respectivamente, temos aqui dois momentos introspectivos que vão fazer o teu leitor estar em alta rotação. Se ambas as versões são demasiado melancólicas para ti, acabam de ser editadas 4 remisturas bem alternativas por Ricardo Villalobos, DJ Koze e Chi Thanh que (des)constroem a mensagem desta canção. A música é universal, e embora muitos pensem que a língua alemã é fria, esqueçam isso, temos aqui uma voz demasiado doce para o tema que é a solidão. In 2017 we are back in our small and cozy two-bedroom flat near the Tiergarten, in German 2Raumwohnung, to fall in love again. This German band, an usual presence here in this blog, comprised by Inge Humpe and Tommi Eckart, is back this year with the bilingual Somebody Lonely and Me and with a double album to be released in July. The first single is an ode to introspection, to the questions of the heart, to those short moments of loneliness in which Love hasn’t showed up yet or, even if it is right in front of us, we cannot see it. This is either because we do not have our eyes wide open or simply because we are so closed in this vast darkness. Where is the face I want to see forever? asks Inge, as in this dark world the joy of a date with our love may sound (im)possible. Released in two versions Tag and Nacht (video), day and night respectively, we have here two introspective moments that will put your player on heavy rotation. If both versions are too much melancholic for you, 4 new and alternative remixes by Ricardo Villalobos, DJ Koze and Chi Thanh have just been released (de)constructing the message of this song. Music is universal and although many people think the German language as cold, forget that, what we have here is a voice that is too sweet for the theme that is loneliness. Bei dir bin ich schön? Of course I am! We all know Love turns us more beautiful, and without placing the other one in an unreachable pedestal we can say, without any fear our second ideas “ bei dir bin ich schön / das ist ein phänomen/ auf der Skala 1 -10 / bei dir bin ich zehn” ( Next to you I’m beautiful / that’s a phenomenon / in a scale of 1 to 10 / with you I’m 10). And isn’t this capacity of transforming us itself a phenomenon? One could write a lot of words (Worte) that many say are but wind …. Or write poetry or prose, a note or an Odyssey about the most refreshing German album of the past few years …. But that wouldn’t make you press play, image and find out (again) how much Love can be plurilingual. Todos sabemos que o Amor nos torna mais bonitos, e sem colocar o outro num pedestal inantigível podemos dizer, sem medos ou segundas intenções “ bei dir bin ich schön / das ist ein phänomen/ auf der Skala 1 -10 / bei dir bin ich zehn” (ao teu lado sou bonito / isso é um fenómeno / numa escala de 1 a dez / contigo sou 10). E não é um fenómeno esta capacidade de nos transformar? 2Raumwohnung, a dupla Inga Humpe e Tommi Eckart, banda alemã já com mais de uma mão cheia de álbums editados, mostram-nos isto na língua a que muitos apelidam de fria! Bei dir bin ich schön foi o single que antecedeu Achtung Fertig, um álbum de 13 temas electrónicos que perduram durante horas no iPod, onde mencionam e questionam o Universo das paixões (Was sagt das Universum), diversificam os sinónimos sobre o Amor (Bye Bye Bye) e buscam formas quentes de abraçar os dias frios junto de quem nos torna mais belos, como no tema Ein Neues Gefühl (Um novo Sentimento) em que Inge exclama : Ein neues Gefühl / du und ich und jetzt und hier (Um novo sentimento / tu e eu e agora e aqui). 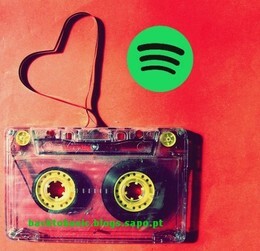 Poderíamos escrever imensas palavras (Worte) que muitos dizem que o vento as leva … ou escrever poesia ou prosa, uma nota ou uma Odisseia sobre o album alemão mais refrescante dos últimos anos… mas isso não te faria carregar no play, imaginar e (re)descobrir o quanto o Amor pode ser plurilingue.